YouTube You Can Use – Volume 1, Issue 12. 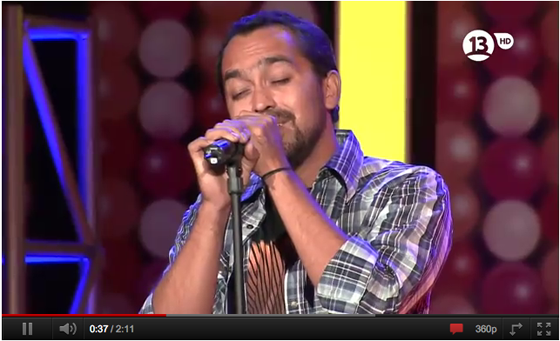 Mi Nombre Es… is a Chilean television show where contestants imitate a famous musician. (read more) Clearly, the contestant in the video is not Eddie Vedder. He looks nothing like him and doesn’t even speak the same language. But he sounds just like him. Many animals mimic sounds and actions of other species. But humans are natural born imitators! You could even say that humans are better at imitation than any thing else on the planet. Genesis 1:26-27 says we were created by God to imitate our Creator for the purpose of ruling over other species on the earth. While we have a natural tendency to imitate other humans Ephesians 5:1-2 says, “Follow God’s example, therefore, as dearly loved children and walk in the way of love, just as Christ loved us and gave himself up for us as a fragrant offering and sacrifice to God.” So while we are natural-born imitators God tells us not to mimic other humans, but to imitate Him. This leaves each of us with a question: Who am I imitating? Would you rather be a rock star or a television star? What is an impersonation you are really good at? If we polled your friends, who would they say you imitate? What’s the difference between being imitators of God (Ephesians 5) and Satan’s lie in Genesis 3:1-4? Didn’t Satan tempt Eve to eat of the tree so she could be like God?